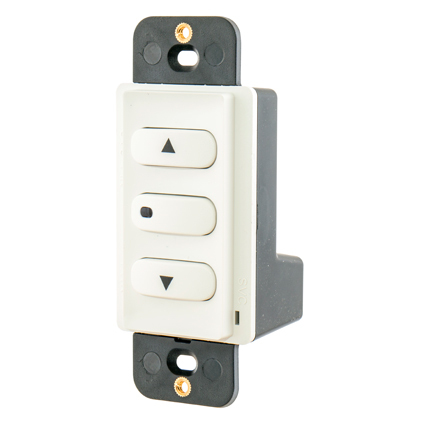 Hubbell Wiring Device-Kellems is excited to announce its Low Voltage Wall Switch and 0-10V dimmer, offering low-voltage switching control and low-voltage 0-10V dimming in one device. The device can remember the most recent dimming level used, and re-set lights to that brightness. Smooth dimming operation gives users the ultimate control, selecting lighting levels between 1V and 10V, depending on what’s happening inside the room. With auto “ON”, manual “ON” (Vacancy), and bi-level switching operation modes, the switch meets current energy-efficiency codes and standards. An LED indicator light lets users know the current status. Designed for use in private offices, conference rooms, classrooms, and multimedia learning centers, the Low-Voltage Wall Switch and 0-10V dimmer is used as a system with Hubbell control modules, relays and industry-standard IEC60929 Annex E compliant 0-10V dimming light fixtures. It can also be used in combination with a wide variety of decorator wallplates to mesh with any décor. The device is available in gray, ivory, light almond, and white colors. For more information about Hubbell’s new Low-Voltage Wall Switch and 0-10V dimmer, contact your Hubbell sales representative or visit www.hubbell-wiring.com. Hubbell Wiring Device-Kellems is excited to announce an industry-first series of fully weather rated stainless steel flip covers. The durable corrosion-resistant stainless steel construction provides superior protection against corrosive chemicals and environments, while the spring loaded covers ensure a complete seal when the cover is closed. Hubbell Wiring Device-Kellems is excited to announce the addition of longer lengths of PolyTuff® I conduit to the existing line of Kellems non-metallic liquid-tight conduit. Depending on trade size, Hubbell now provides customers with continuous lengths ranging from 500 to 1200 feet of PolyTuff® I on a wooden reel.